November 24 is Small Business Saturday! Shop small (and locally) this Saturday! Held on the Saturday after Thanksgiving, Small Business Saturday is a holiday shopping tradition and nationwide movement with the goal of supporting the small businesses that make our community strong. 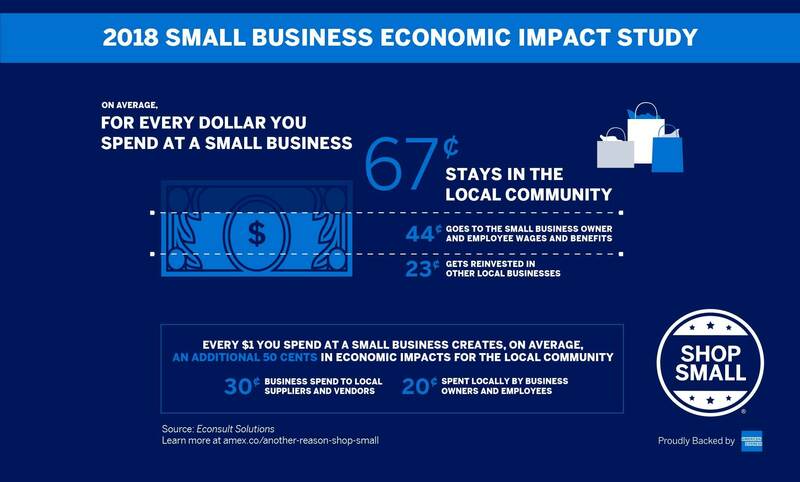 Last year, 108 million shoppers showed up to help small business owners generate an estimated $12.9 billion on Small Business Saturday! 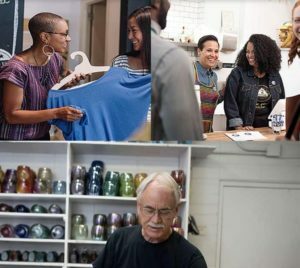 In California, small businesses are essential to the economic prosperity of any community, considering there are 3.8 million small businesses, which constitutes 99.8% of all California businesses. 2014 data from the Office of Advocacy’s Small Business Profiles reports that an impressive 49.2% of all California employees work for a small business. So consider taking your spending needs to a few of the many small businesses in San Leandro this Saturday, November 24, whether it be a furniture store, bakery, bicycle shop, auto repair shop, cafe, or restaurant. San Leandro is also home to a great many home-based retail and small scale food businesses. If you are looking for ideas, why not try some locally baked bread by visiting the newly opened and highly acclaimed As Kneaded Bakery. This artisan bread will also pair well with locally produced Adult Jam, which is available at Estudillo Produce & Delicatessen. Estudillo Produce also stocks other San Leandro products, such as pints of Mr. Dewie’s Cashew Creamery dairy free ice cream. If you like kombucha, multiple varieties of House Kombucha can be found at Gourmet Cellar. Or, you can bring home a bundt cake from Nothing Bundt Cakes at Greenhouse Marketplace. Also, don’t forget to take advantage of the many small businesses located at Bayfair Center. Visit Santos Spice Products for produce and spices, and their homemade potato samosas. For your favorite libations, give Cordial Bottle Shop a try – they even have free tasting events! Allphin Jewelers has been a San Leandro staple since 1923 and is still the place to go for jewelry. And recently opened On the Runway Accessories offers all things beauty and fashion in a boutique setting. Giving food as a gift is a cinch if you visit Bon Appetit Box, whose online business specializes in French specialty food gift baskets. Online shoppers may also want to check out Unpossible Cuts, whose whimsical precision laser-cut jewelry makes for great gifts.